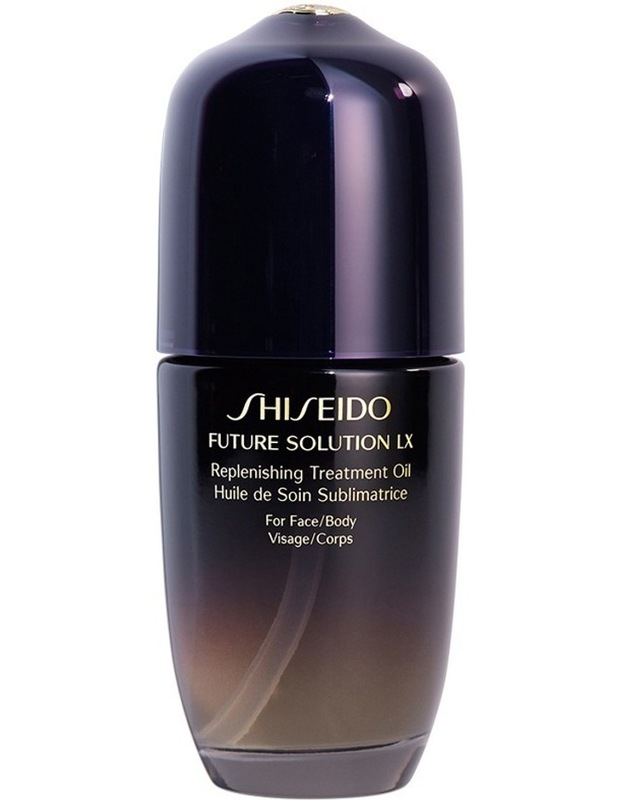 Future Solution LX Replenishing Treatment Oil. A luxurious treatment oil with age-defending benefits that nourishes skin, while helping to protect against environmental stressors*. formulated with six ultra-rich oils that blends into skin instantly. Use on the face, body, hands, nails, and hair for a smooth, beautiful glow and silky feel. *skingenecell 1p makes skin resistant to harmful environmental factors such as UV rays. (In vitro).